Now that you’ve created that gorgeous layout, you will want to show it off in the many digiscrapping galleries that are out there on the web. 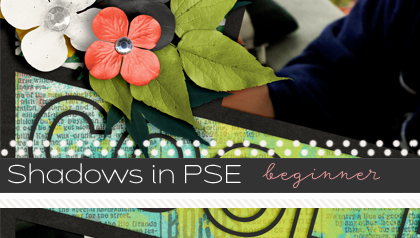 The first thing you will want to do is to make a list of the supplies used on your layout so that you can properly credit the designers.The easiest way to do this is to open a program like Word or Notepad. 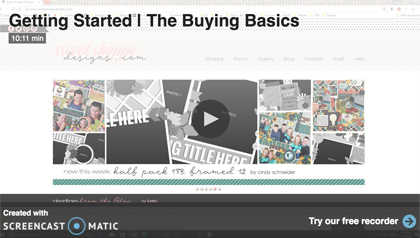 Now, list all the kits, alphas, and fonts you used along with a url link to each in the appropriate store. 1. Find the kit in the store and copy the url from your address bar by highlighting it and hitting Ctrl+C. Now that you have all your credits ready, it’s time to save your layout in the appropriate way to be able to upload them to the galleries. 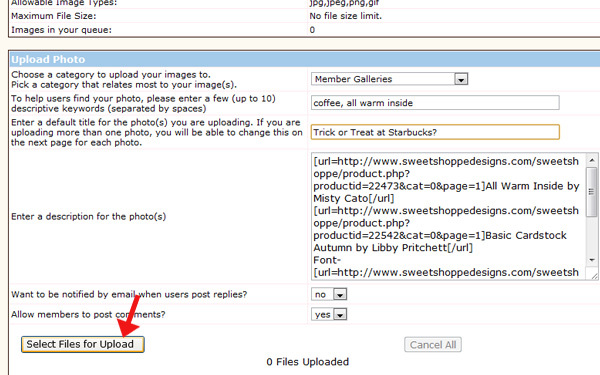 Most galleries have a file size upload limit of 125-150kb (check Gallery Guidelines/Rules for each site). 1. 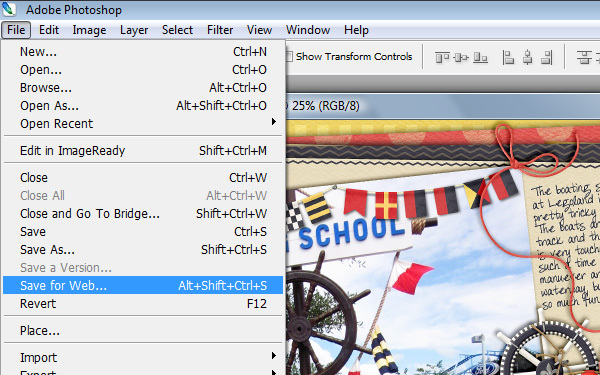 Select Layer > Flatten Image from your toolbar menu. 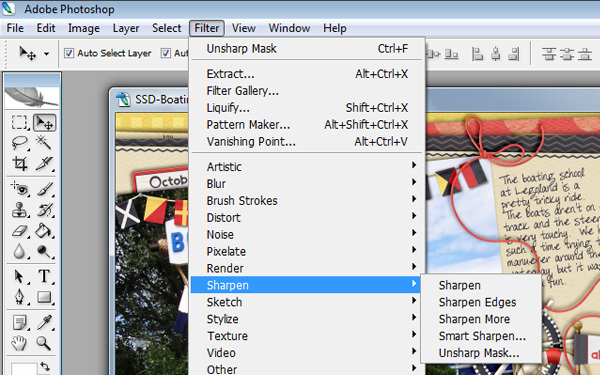 At this point you can sharpen your image by doing the following optional step. 2. 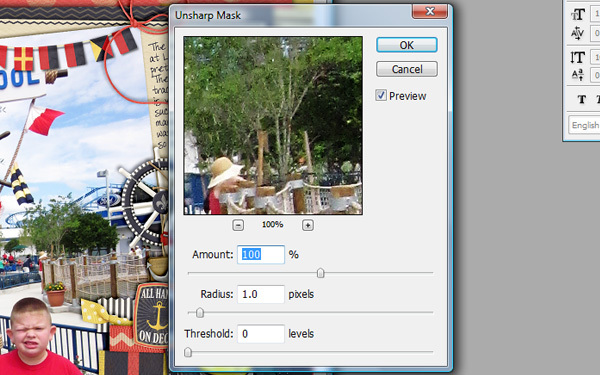 Filter > Sharpen > Unsharp Mask. Amount: 100% is usually good but you can play with the number as you like. 3. 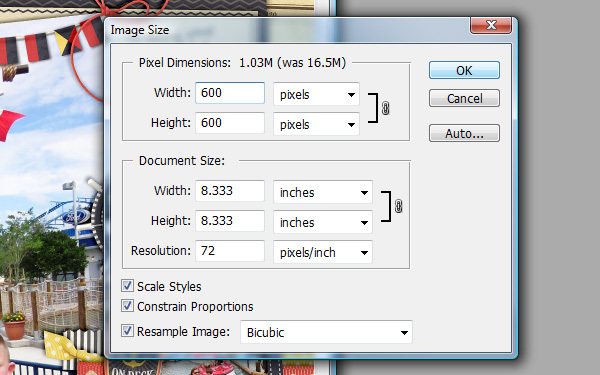 Select Image > Image Size. 4. Change the Resolution to 72 pixels/inch. 5. Change Width and Height to 600 pixels. 6. File > Save for Web. 7. 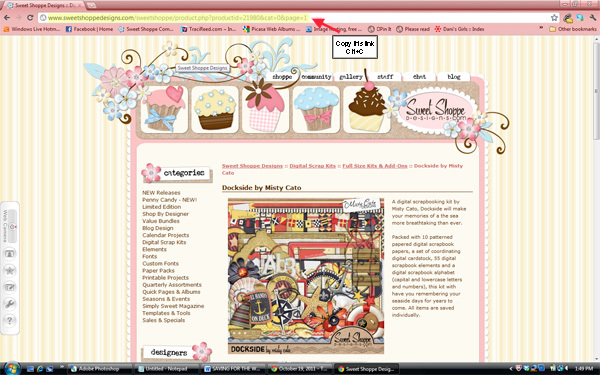 Click on the Optimize Menu (>>). 8. 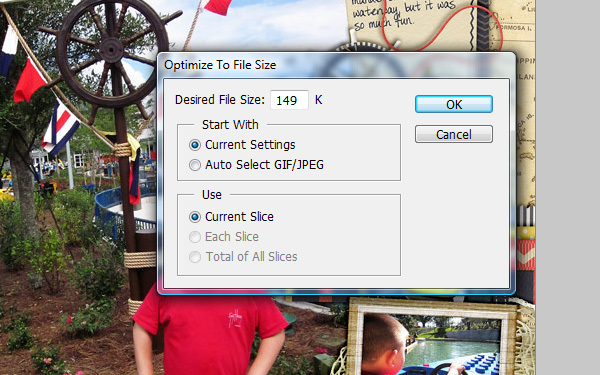 Choose Optimize to File Size. 8. Change Desired File Size to 149 K (or 125 K if uploading to a gallery with that limit). Click OK.
9. Click Save and choose the location you would like to save to. Each gallery may be set up slightly different, but generally, they all follow close to the SSD format. 1. Click on Gallery on the site. 2. Click on Upload Photos. 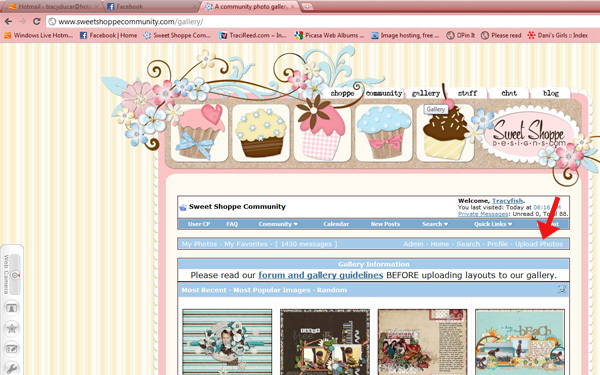 The category on most sites will default to Member Galleries. 3. Optional: Enter keywords (ex: Christmas, baby or the kit name). 4. 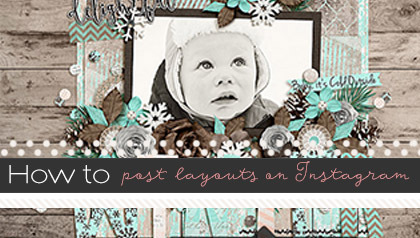 Enter a title for your layout. 5. In the description box paste your list of credits that you tracked earlier. 6. 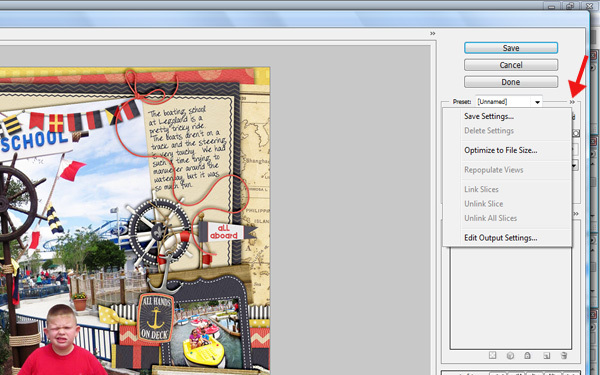 Click the Select Files for Upload button and choose the layout you Saved for Web. 7. Once it uploads, click Upload/Submit. On the next screen, you will have the option to place the layout in more than one category (ex: the gallery of the designer whose kit you used). 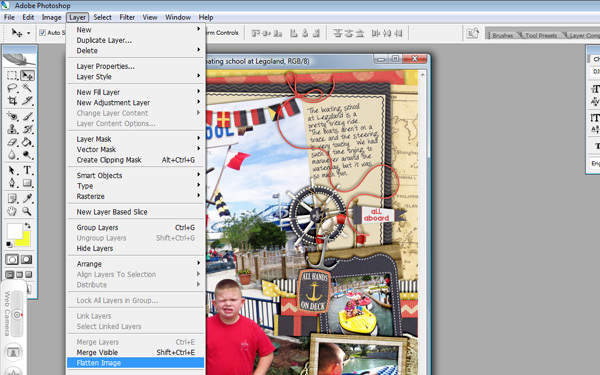 I use Photoshop (CS3) … I go to FILE + FILE INFO and in the description I put all my credit information in the box … that way when I save the layout … I’m saving my credit information with the layout.